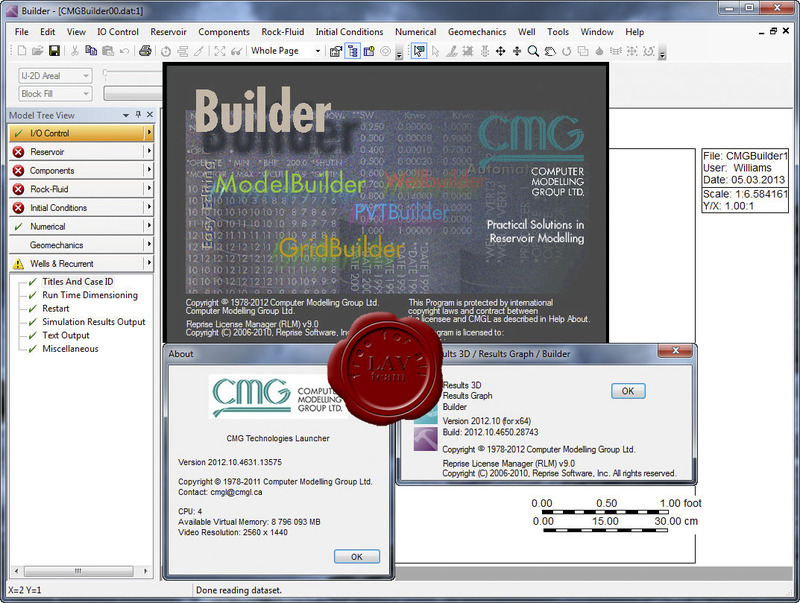 CMG (Computer Modelling Group) is a computer software engineering and consulting firm engaged in the development, sale and technology transfer of reservoir simulation software. CMG began as a company known for its expertise in heavy oil, and expanded its expertise into all aspects of reservoir flow modelling. Over the past 34 years, CMG has remained focused on the development and delivery of reservoir simulation technologies that assist oil and gas companies to determine reservoir capacities and maximize potential recovery. More info about the package: link.